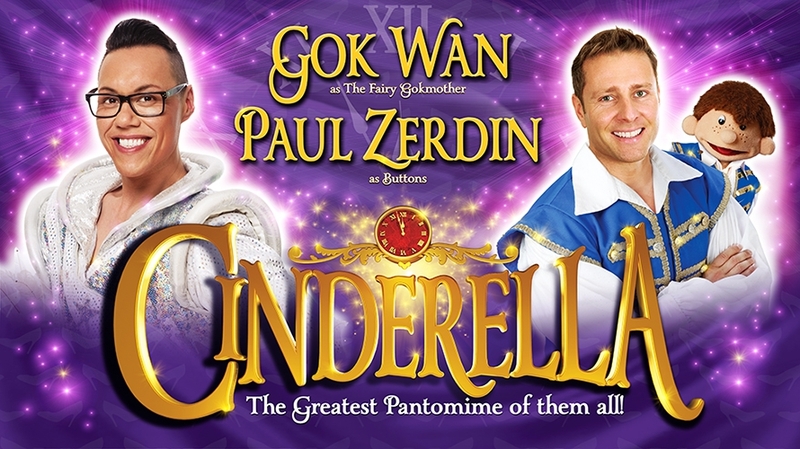 We are thrilled to announce that everyone’s favourite fashion-guru Gok Wan and comedy ventriloquist Paul Zerdin will star in this year’s magical pantomime adventure, Cinderella. Gok Wan will play The Fairy Gokmother, offering helpful style tips to The Ugly Sisters and creating the most magical ball gown in panto-land! Gok’s performance at the Theatre Royal Plymouth follows two hugely-successful seasons working with pantomime producer Qdos Entertainment, the first of which was the subject of the Channel 4 documentary Gok Does Panto. Gok’s TV career started with the overwhelming success of his Channel 4 series, How To Look Good Naked and through his expertise as a fashion stylist and the shows phenomenal success he became an ‘institution for women wanting to find their own unique style and confidence’. How To Look Good Naked was so successful that Gok appeared in a further six series and then went on to host three series of Gok’s Fashion Fix. Gok’s other recent TV credits include How To Cook Chinese, Gok’s Style Secrets, Gok Live Stripping For Summer, Too Fat Too Young and Gok’s Teen’s The Naked Truth. Most recently Gok has been seen as a ‘celebrity Chef’ on Celebrity Great British Bake Off for Comic Relief. The hilarious ventriloquist Paul Zerdin will appear at Buttons, with his loveable side-kick Sam helping ensure that Cinderella makes it to The Ball! Zerdin rose to fame as the winner of LWT’s The Big Big Talent Show, after a successful run presenting Rise and Shine for GMTV. More recently Paul has appeared with cheeky pre-adolescent Sam, belligerent OAP Albert and precocious infant ‘Baby’ on The Royal Variety Show, Comedy Rocks, and at festivals including the Edinburgh Fringe and Just For Laughs (Montreal). Tickets are already on sale for Cinderella which will be performed from Friday 18th December 2015 to Saturday 16th January 2016. Book your tickets now to see the Fairy Gok Mother make Cinderella’s dream come true.